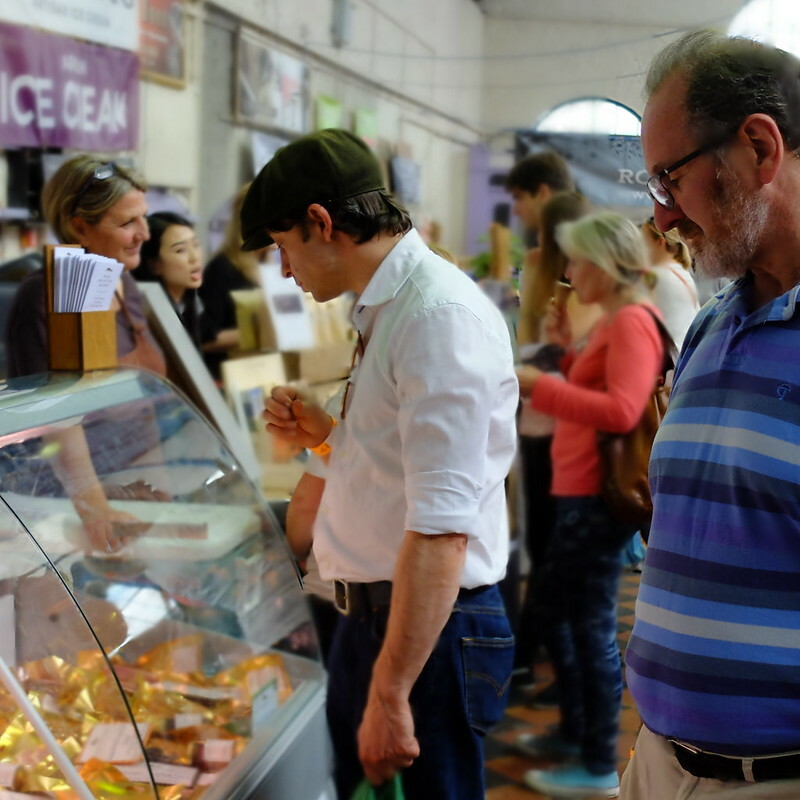 The UK has very good food festivals, and one of the best is right here in Wales. 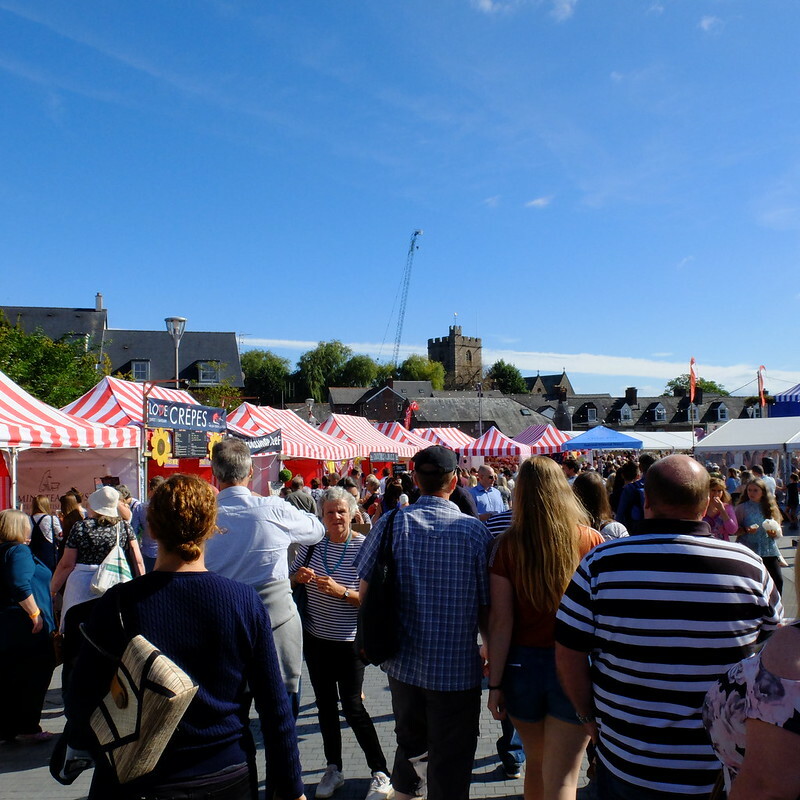 Every September, the town of Abergavenny on the Welsh-English border hosts a weekend food festival that draws a large crowd of hungry visitors. Being from the town originally, I took the opportunity to visit family and then head to the food festival with my husband to get stuck into all of the cheese. Here's a little pictorial roundup of what were the highlights for me. 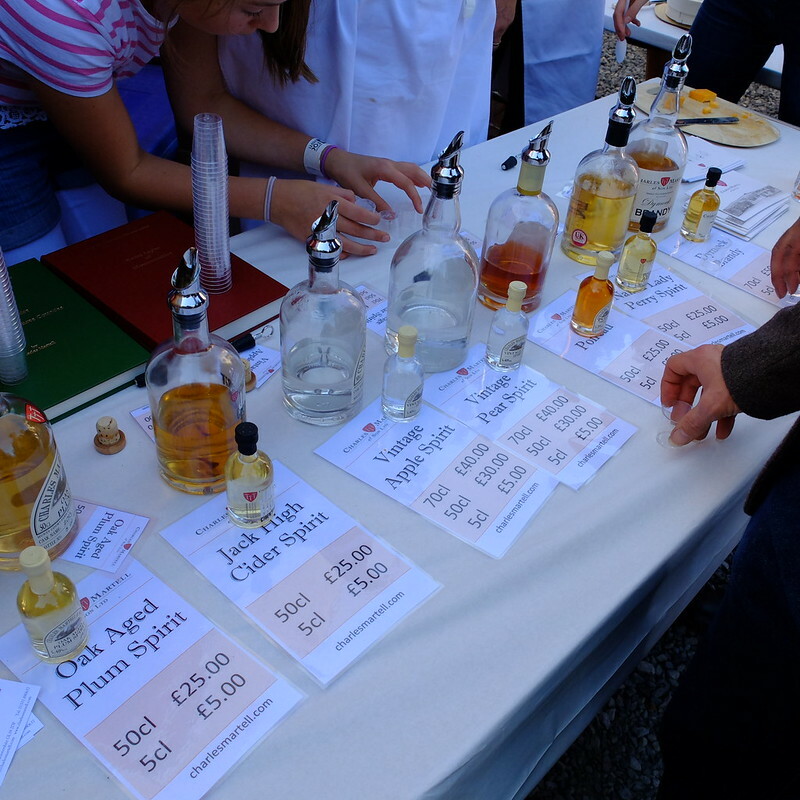 We tried salmon jerky, dozens of cheeses, English brandy, gourmet pasta, cured meats, chocolate, chutneys, gin, and many more tasty morsels. The market hall itself is always decked out with novelty decorations. Last time I was there, it was chickens. 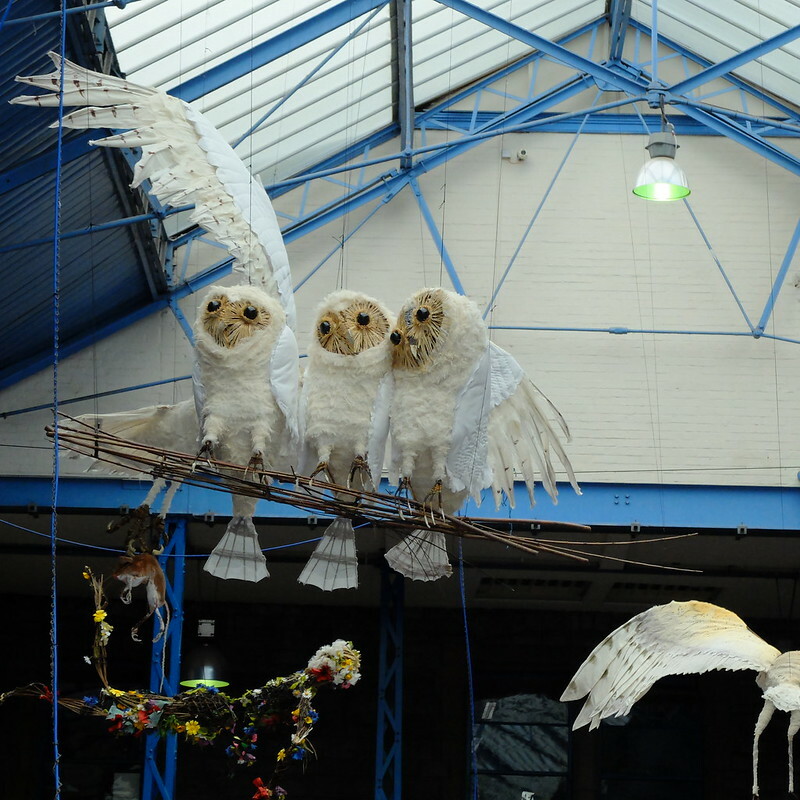 This time, they had giant owls suspended from the ceiling, and in a corner there were some drunken goats. 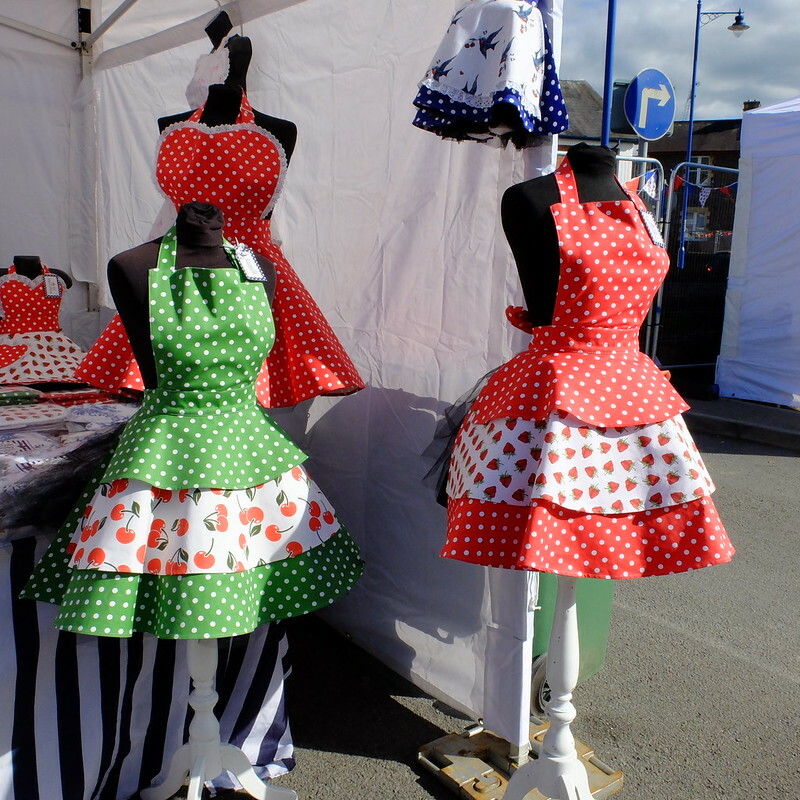 The prettiest retro aprons I've ever seen (and excellent, thick fabric for proper cooks!) were courtesy of The Sunday Girl Company. Not content with nibbling cheese and cold meats, I ordered a proper meal from one of the stalls, I think it was just called 'Bubble & Squeak'. Bubble & Squeak is a traditional British dish of leftover veg, all fried up together. It was an amazing plate of food. Bubble & Squeak topped with a poached egg, roasted cashew nuts, goats cheese, pesto, carrot chutney. Yum! The Da Mhile distillers were there, within the Gin Palace. I'd mentioned them in my article for In Retrospect magazine, so had to show them! Their seaweed gin, that I reviewed on my blog here, is one of my all time favourite tipples. We couldn't help popping into a few charity shops while we were in the town either, and I came away with a fake Chanel handbag (which is actually leather and decent quality), and my husband bought a leather jacket he found in the ladies section (it's not ladies, I tried it on and the arms were like an orangutan's on me). 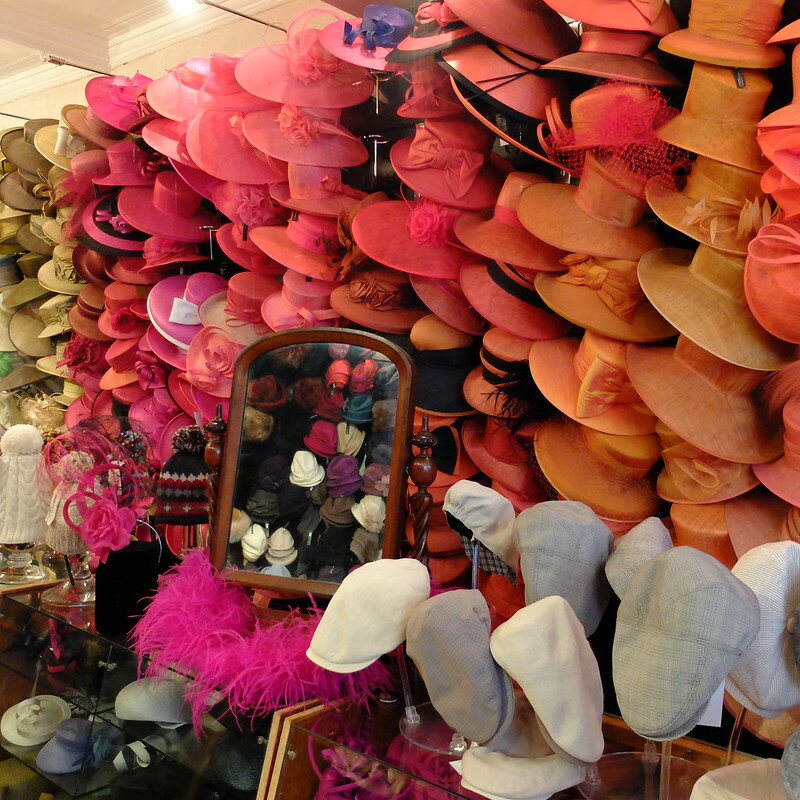 We also went into Alison Tod's rather fabulous millinery shop. Do you enjoy a food festival? We couldn't help but notice that it was a very middle-class event (well, Abergavenny is a 'posh' valley). My husband dressed in a tweed jacket and flat cap to fit in with the country set, he looked the part for sure. I wore my New Look tea dress that you saw before in this post. Tickets were £12 for a day (bought on the day, they might be slightly cheaper in advance). 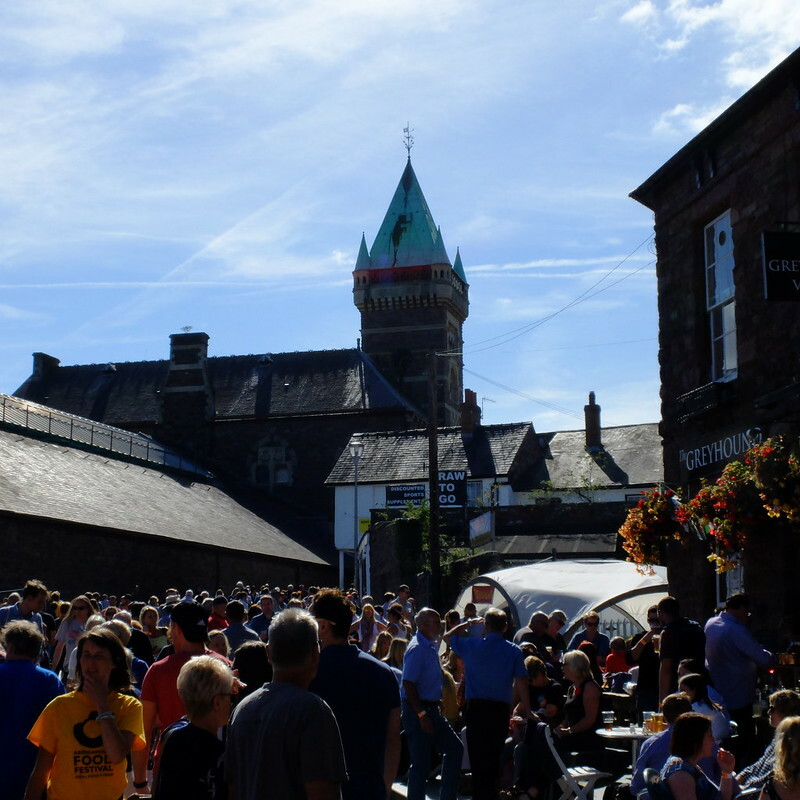 Have a look at the Abergavenny Food Festival website here - maybe I'll see you there next year? If you can't wait that long, they're having a Christmas food fair on Sunday 11th December. 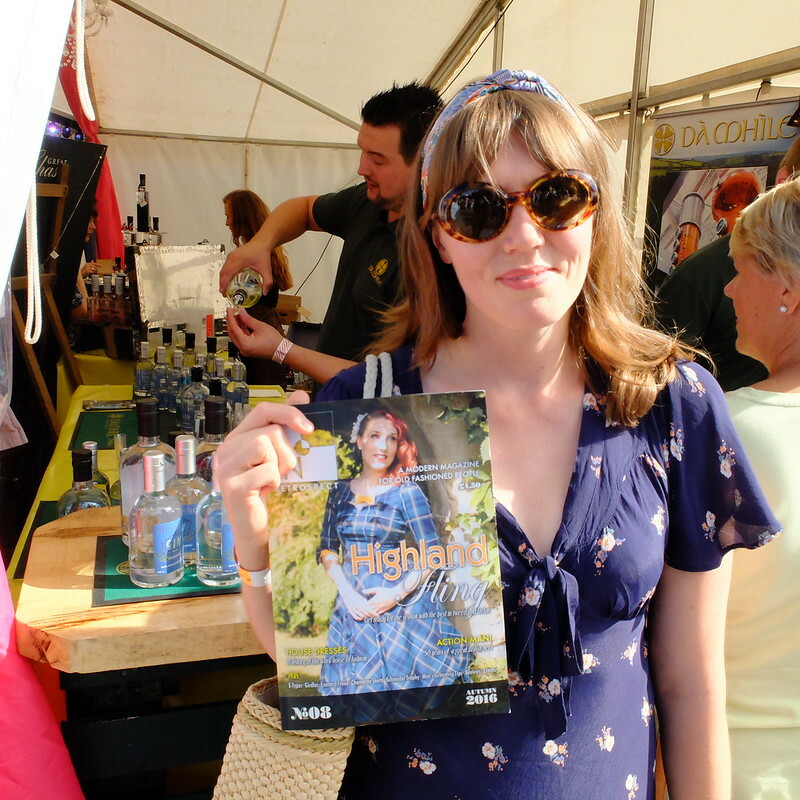 Despite the poshness I've been to the Ludlow Food Festival and loved it. This looks wonderful, too. How brillaint are those owls? 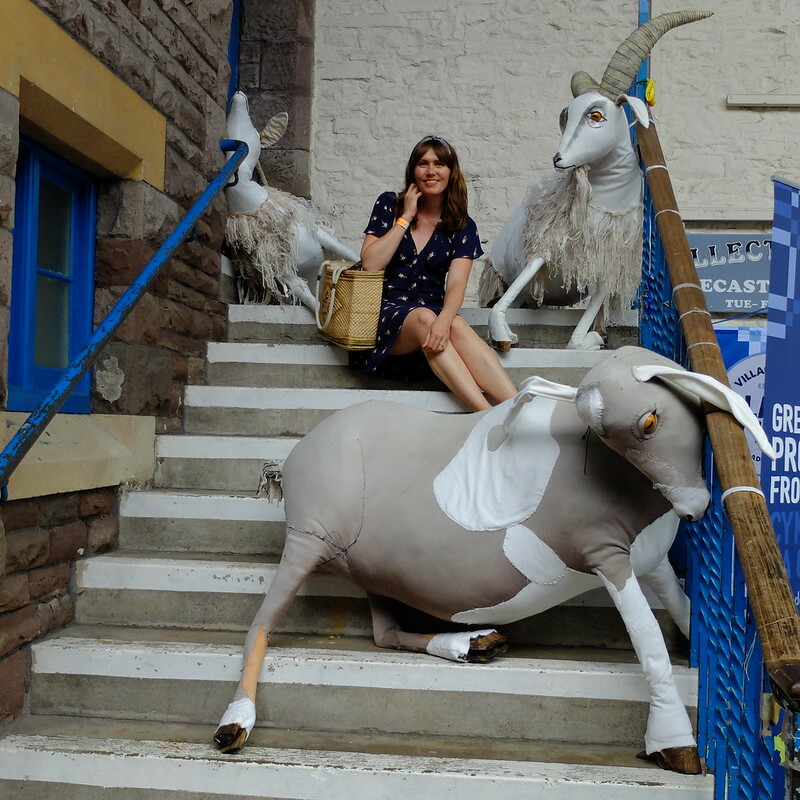 Love the picture of you and wonky goats. Ha, it's a couture milliners so most hats are hundreds of pounds! To be honest, not many vintage styles, much more Ascot or Mother of the bride orientated. This looks like such a blast! Love those super pretty aprons. The strawberry one in particular is right up my alley. I love the decorations, aprons and all those hats! Looks like fun! We are less likely to go to food festivals since we became vegan. Sounds and looks delicious and looks like it was an ideal day for a festival. Love those aprons! The tiers are so cute! And I also love the dress you wore. So pretty. 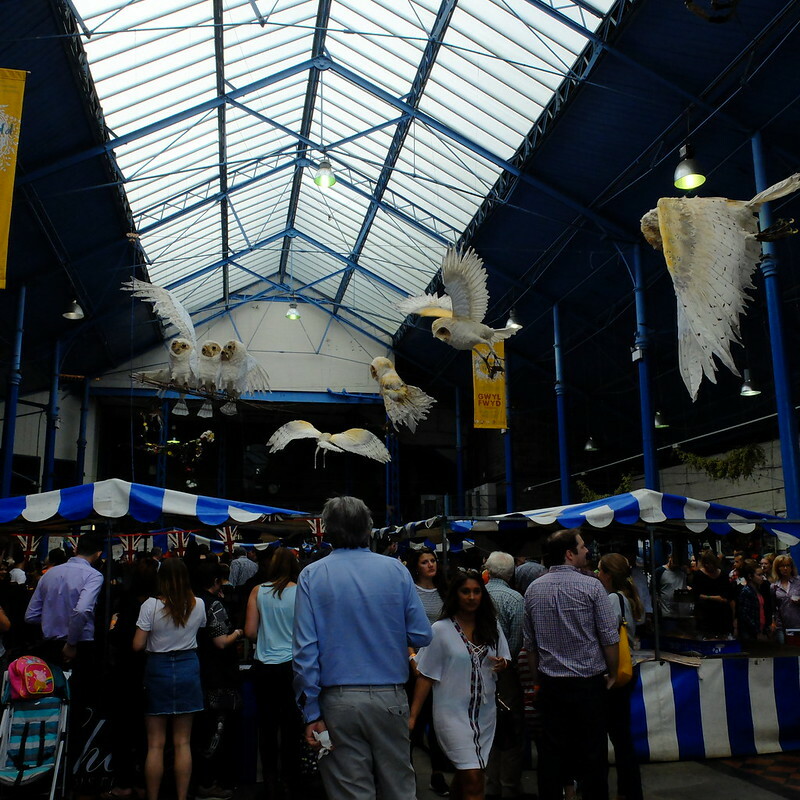 The Christmas food festival sounds like it's going to be amazing! 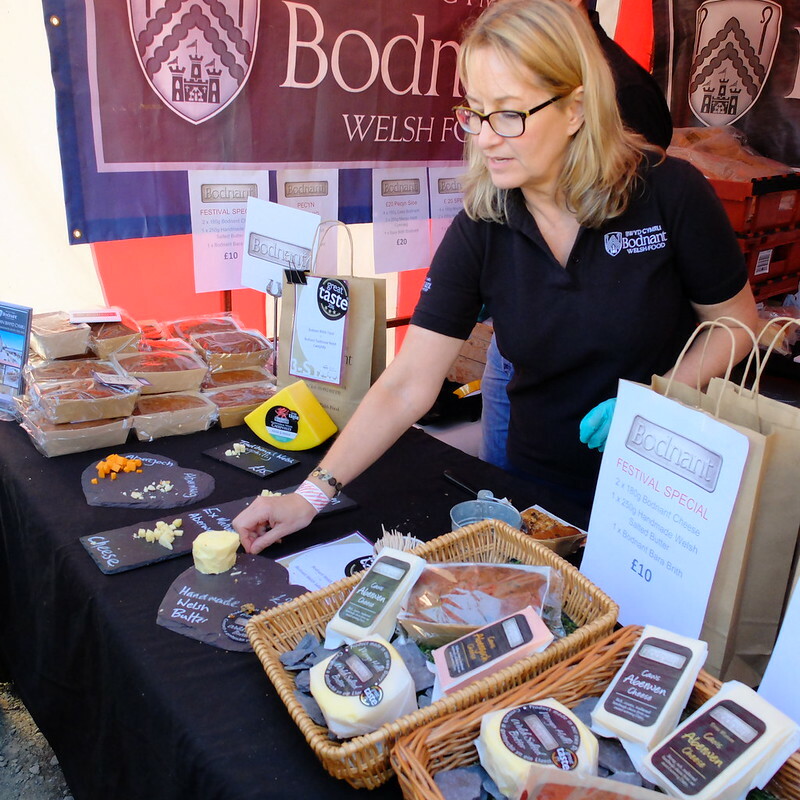 I've been to a couple of smaller food festivals and enjoyed them, especially for the cheese, mmmmm cheese. What a fab day out! Food always is a great motivator to get me out of the house. And looks like you got lovely weather too!